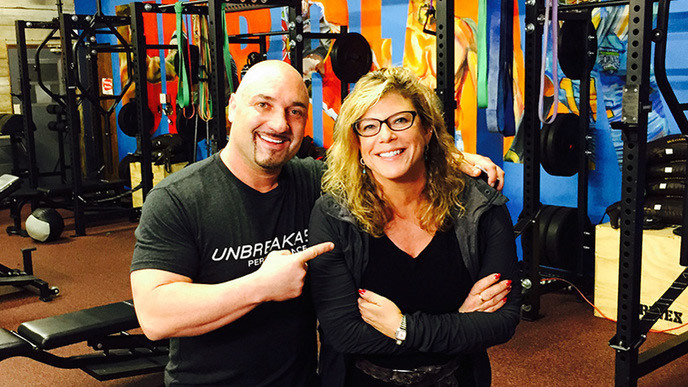 Jay Glazer is a professional sports journalist and the founder of one of the most renowned gyms in Los Angeles. He is an NFL Insider on the longest-running sports show on television, FOX NFL Sunday, and a UFC host. Glazer also recently went into business with retired Chicago Bears linebacker Brian Urlacher and the Captain of the U.S. Women's Olympic Volleyball Team Lindsey Berg to create Unbreakable Performance Center, a boutique gym catering to sports stars and entertainment personalities. The NFL and MMA guru took some time to speak with LivingHealthy about his health, wellness and fitness regimen. Jay Glazer: Yes. The body affects the mind, and the mind affects the body. When somebody wakes up in the morning, looks themselves in the mirror and likes what they see or sees an improvement, it starts their entire day off on a great note. Glazer: LivingHealthy, because I love you guys (haha!). Also, Renzo Gracie, my first jiu-jitsu coach. He has great daily motivational tweets to promote relentlessness, drive and challenging yourself to the fullest. In 140 characters, he really gets me thinking and motivated—more than anybody I know. Living healthy truly comes from within, not from the outside. Renzo preaches that. Glazer: Luckily, I was born with a whole lot of sexiness. But aside from that, just need to take care of your body AND mind and you’ll be looking ready for that camera. LH: What is your living-healthy mantra? What internal monologue motivates you to keep yourself working hard to be healthy in mind, body and spirit? Glazer: The days of “no pain, no gain” are over. The healthier my joints, my back and the rest of my body feels, the more effective I will be during my workouts. My entire mindset is to be relentless and to outwork the world. In order to do that, I need my body to hold up. I need to take care of it and protect it. That is so key for me. Glazer: I don’t look at changes in myself; I look at changes in others. I pride myself in helping others achieve their goals. The best thing for me is when someone comes and tells me how much their life has changed after a significant weight loss or fitness change. I love walking into my gym and seeing people move the way they haven’t moved in years, and seeing their energy and happiness levels at a completely different level from when I first met them. That is honestly my passion in life. LH: If you could only pick one, what would you say is your best living-healthy habit? Glazer: From a fitness standpoint, I am constantly working on stretching and loosening my hips. People think that strengthening your core is the key, but I believe it’s about loosening your core. The looser your core, the stronger you’ll actually be. Glazer: Always MMA (mixed martial arts). It never allows you to get into a rhythm, which always lends to a better workout. But more than anything, it allows me to sharpen the most powerful weapon in the world: the human will. That is what I am most proud of—my will. People don’t realize, but it is something that also can be built up with work. LH: What relationships have been the most influential in your personal living-healthy journey? Parents, coaches, friends, competitors, professional trainers/athletes? Glazer: All of the above. You never know whom you can learn something from so keep yourself open to learning new things. As a trainer/coach, it is just as important for me to learn from my athletes as it is to teach them. Glazer: It’s just like in anything else—valid recommendations are invaluable. There are so many frauds out there. This is my health. This is my body. We are talking about how long I will live and be around for my son and how healthy I am during that journey. 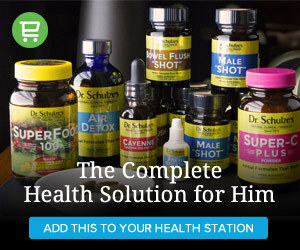 Getting the best health information is one of the most important things in life. LH: Why is living healthy (the concept, not the brand) important to you? Glazer: It’s a lifestyle that is a choice and it affects every other aspect of life. Work life, personal life, emotional well-being—it’s attached to everything. LH: Please share some tips on how to stay healthy on the road/while you are traveling. Glazer: Every morning and every night I have a routine where I do about 10 minutes of hip work. This includes hips, groin, hamstrings, glutes, quads, lower back. I make sure when I am on the road, I put even less of a load on my body and instead I ramp up the circuit work, especially if I am on a lot of flights. I will do at least 25 minutes of lifting at a hotel that is extremely low weight, a lot of reps with little to no rest in between each set. I never run because it puts too much of a pounding on my legs. I ramp up my cardio with this sort of lift. I am never doing the same thing for more than 30 seconds, and I never rest for more than 10 seconds. This really keeps me feeling good on the road while not putting an added strain on my body.